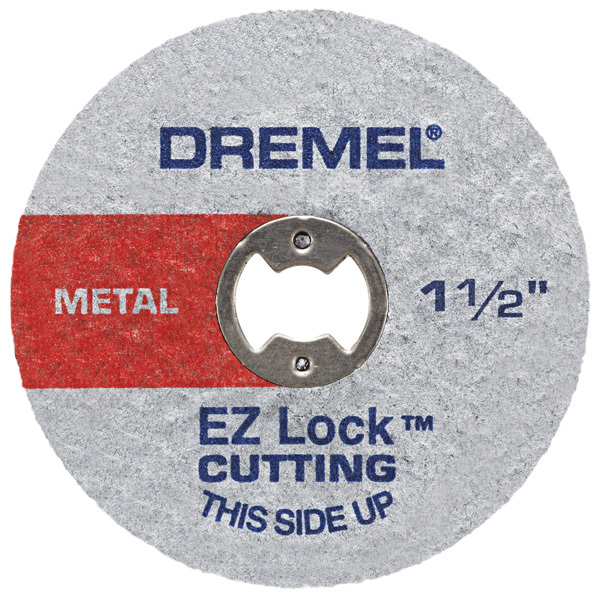 Durable reinforced abrasive cut-off wheels slice right through metal workpieces. Use to cut-off bolts, bars, tubing and so much more. Package of five 1-1/2 inch diameter cut-off wheels fit EZ Lock Mandrel (our #85986, sold separately).